A common misconception about quartz countertops is that they are expensive, but the truth is they all range in pricing just like any other stone. Quartz countertops are competitively priced against other stones like granite and marble depending the design, but also because they come with benefits such as lower maintenance and higher durability. Durability. These pieces of engineered artwork are stronger than granite. They are beloved by chefs and will last a long time. They aren’t indestructible, of course. They can’t withstand high heat and aren’t particularly fond of a lot of UV light. But they are more chip-resistant than natural stone. If they do get a chip, it’s typically an easy repair that doesn’t require a handyman. Versatility. 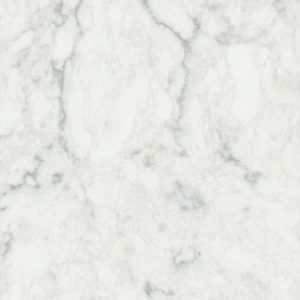 Quartz countertops come in a wide range of colors, patterns, textures, and sizes. With so many options, you’re bound to find one that fits within your design needs and budget. This versatility also provides a unique opportunity to have a stone countertop that can be designed to mimic other stones like granite and marble. Affordability. Sure, you can find extremely expensive quartz countertops. But you can also find very affordable options as well. When looking at the prices of quartz, the quality of the stone, size, thickness, texture, and many other attributes come into play. Having a budget in mind will aid in your decision of which type of quartz countertop is right for you. Remodeling a kitchen is a huge undertaking, but it doesn’t have to break the bank. Take your countertop wishlist to a professional, and they will help you find the best stone to fit your needs and your budget. Want more help budgeting your project? Check out our post on how to budget for your remodel without breaking the bank!